Interiors, curated by Simon Gregg, features video, sculpture, installation and photography from artists Eloise Calandre (UK), Joan Cameron-Smith, Jayne Dyer, Anna Gilby, Bonnie Lane and Clare Rae. This group of international and local artists investigates psychological, architectural and social kinds of interiority. While architecture is a man-made construct, it is spaces that ultimately control us. Whether activity occurs within our home or within our mind, it is this irrevocable state of ‘within’ that guides our understanding of the world. Sometimes playful, at other times enigmatic and even sinister, these artists explore the subject with a range of approaches and media. They do not so much illuminate our interiors as they facilitate a dialogue between oppositional forces; presenting a series of vantage points on the inside and the outside. British artist Eloise Calandre’s videos grapple with material and immaterial voids, igniting our imagination with fear, possibility and wonder with their lush, elegant compositions. We find in the still, shadowy spaces of a seemingly frozen image, and in the temporal gap between the movements of video frames, the necessary time and space for reflection. Sydney based Joan Cameron-Smith present us with a series of ordinary characters in domestic settings, staring vacantly into space, lost in thoughts that may be pleasurable or painful. 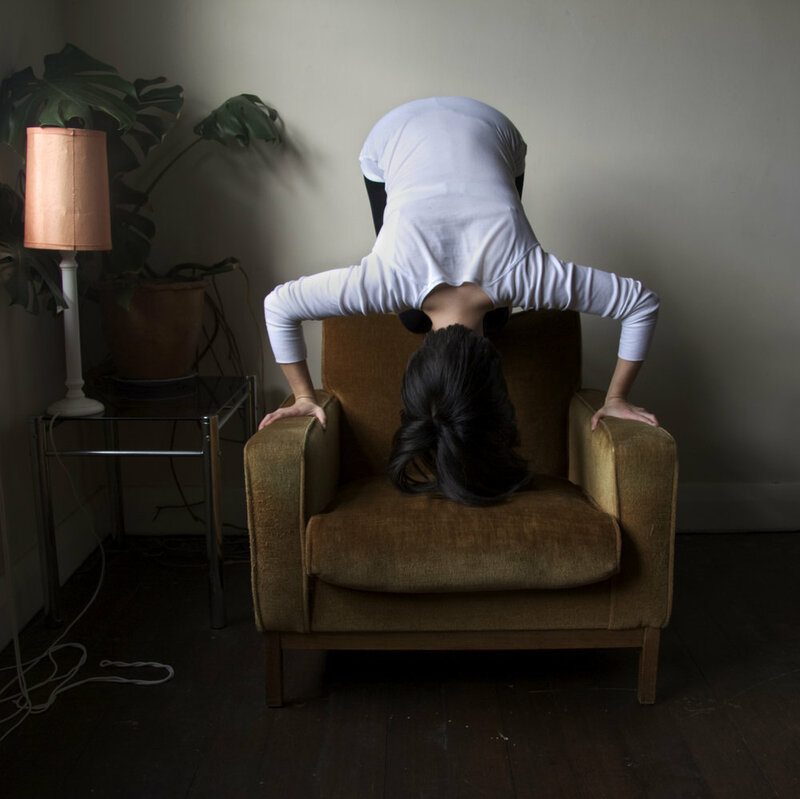 In these moving photographs, individuals have let an internal world overcome their external one. 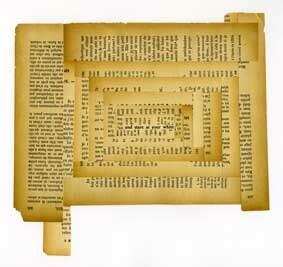 Currently based in Beijing, Jayne Dyer offers a series of reconstructed stories using the collaged remnants of the pages of books. Words and phrases weave into one another to make subtle statements that allude to the vulnerability of communication and the impossibility of ever capturing it. Melbourne-based Anna Gilby’s consuming sculptural works move and sway with the contours of real, built interiors. These gentle, enveloping objects bespeak a quiet architectural rigour. The ebb and flow of these vessels is dictated by movements of air; and their shape is predicated upon the viewer’s movements in relation to the walls, floor and ceiling. Bonnie Lane, currently based in Berlin, heightens the drama by removing the figure altogether. In her installation a lovers’ boat drifts aimlessly across a vacant lake. Within the interior of the boat, and the interior of the lake, we enter a twilight space of unfulfilled dreams. 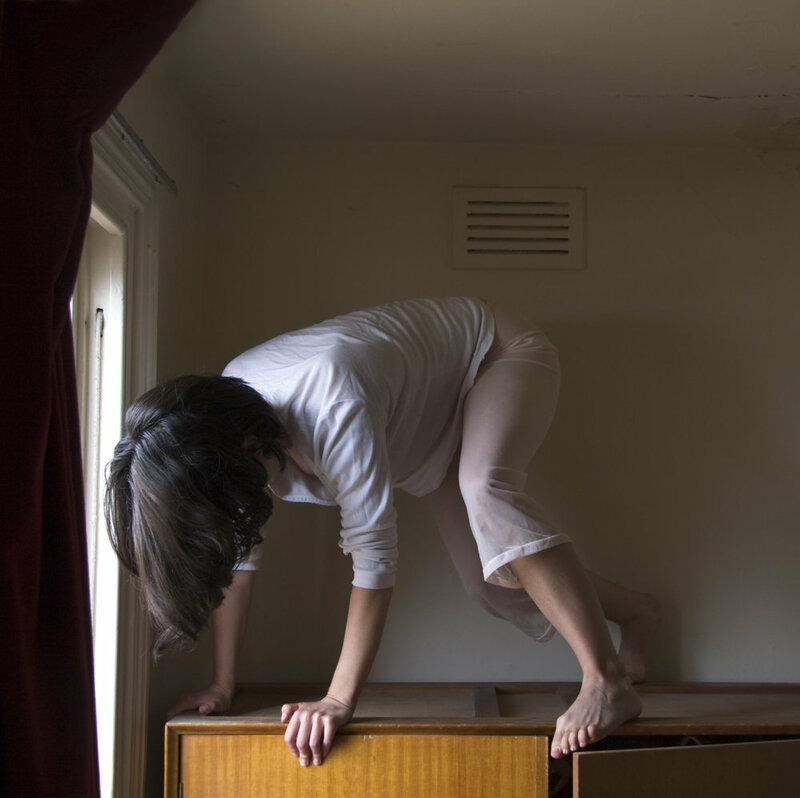 Clare Rae’s photographs capture the playful exploration space through a sequence of performative acts. Here, we watch the artist as she variously negotiates and traverses domestic terrain, awakening our senses to the physical possibilities that exist for us wherever we might find ourselves.